Should we implement a sugar tax in Singapore? The topic of implementing a sugar tax in Singapore has been floating around in the past two years since the launch of the MOH’s War on Diabetes campaign. In fact, the Ministry of Health (MOH) and the Health Promotion Board (HPB) have recently proposed four measures to cut sugar intake from drinks. This includes a total ban; tax on high-sugar drinks; mandatory labeling or a ban on advertisements on all platforms. This move targets sugary drinks specifically as they are the main contributor to our sugar intake (60 percent of our total sugar intake) and THE most fattening aspect of the modern diet. How serious is the problem of diabetes and obesity in Singapore? No doubt, the problem of diabetes and obesity in Singapore cannot be underestimated. Singapore is currently ranked second in the world for diabetes among adults aged 18-65 years old. In fact, 1 in 3 Singaporeans has a lifetime risk of developing diabetes. Obesity, which is often caused by consuming too much sugar, is considered the strongest risk factor for diabetes. In 7 years time, it is estimated that almost 1 out of 5 people in Singapore would become obese. Besides obesity and diabetes, an increased sugar consumption also contributes to a 30% increase in risk of acne; premature wrinkling and aging of one’s skin; increased risk of cancers and even mental illnesses such as depression. Yet, Singaporeans do not seem to be controlling their sugar intake well by taking up to 12 teaspoons of sugar daily, more than the 5 teaspoons limit recommended by the World Health Organisation. Which is the best solution for Singapore? 1) Is banning necessary the best way forward? Banning of pre-paced high-sugar drinks was the top pick among The Straits Times readers, with nearly 40 percent (719 people) of about 1,900 people polled choosing it. However, in my personal view, this could come across as too draconian. After all, it is people’s choice to consume these unhealthy items. If we do not ban people from consuming alcohol or smoking, why should we ban sugar-sweetened beverages? If I can only choose between a ban or sugar tax in Singapore, I would feel that latter would be a better option. With our rapidly aging population, healthcare costs are set to increase. The cost of caring for the Generation X would be passed on to us, taxpayers. Should the obesity and diabetes situation not improve, Millennials will also have to bear the cost of those who are ill due to poor lifestyle choices. The cost of obesity in Singapore was already $2.77 billion in 2016 in terms of healthcare spending and lost productivity. This is equivalent to the cost of building 1-2 hospitals in Singapore. If nothing is done, this cost will only rise as obesity rates are set to increase to 15 percent in 2020, up by 4 percent from today. Smoking and the over-consumption of alcohol leads to diseases. Hence, they are being taxed to ensure that the public does not pay for their healthcare costs or pollution. Only those who consume them bear the cost. Should all taxpayers share the cost of obesity to our society equally? Or, should those who choose to make unhealthy choices take responsibility just like how smokers and drinkers are already doing so? 2) How can we ensure these policies do not harm our lower-income families? One main hesitation for implementing the sugar tax is fears that it will disproportionately impact the lower-income or lower-middle income. I believe this is an important consideration when deciding if we should implement the sugar tax or not. After all, lower-income households spend a larger proportion of their income on necessities like food and water. According to the 2013 Singapore Household Expenditure Survey, households in the bottom income decile spent 9.9 percent of their monthly expenditure on food. The figure for households in the top decile, in contrast, was just 4.2 percent. In the short run, implementing a sugar tax would increase their costs of living. According to Head of economics at Nanyang Technological University, Euston Quah, also shared that lower-income families tend to spend more on cheap high-caloric sugar-laden processed food and drinks. However, in the long run, a sugar tax could benefit the lower-income families’ health and cash flow. Given the susceptibility of lower-income individuals to dietary obesity and related health issues, implementing the sugar tax could reduce the risk of health problems and healthcare cost to a population that is vulnerable. Professor Quah proposed that a possible measure is to make affordable healthy meal choices available to low-income families through rebates and meal vouchers. “Such a rebate must be designed so it cannot be used to buy sugar-laden products, or it would defeat the purpose of a sugar tax in the first place. Public health officials may need to work closely with social service professionals, voluntary welfare organisations and community groups to ensure this,” he explains. 3) Has sugar tax proven to be effective in other countries? 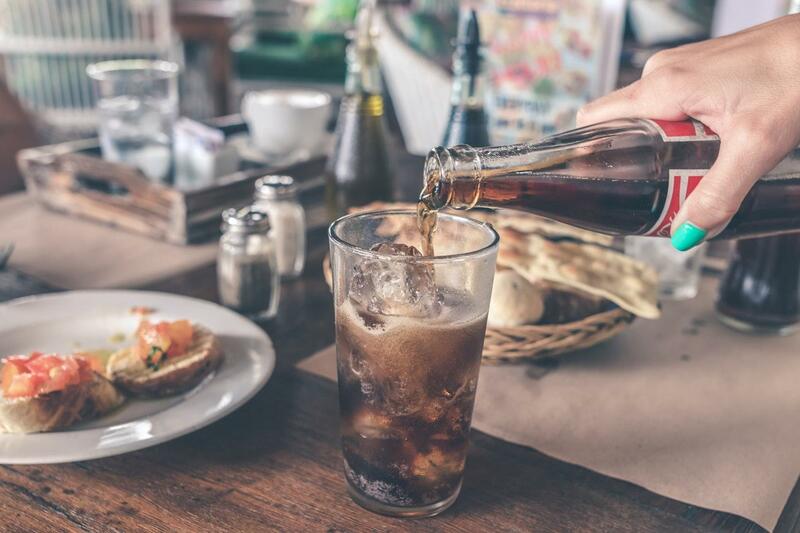 The World Health Organisation recommends a hefty 20 percent tax on sugary drinks, citing “reasonable and increasing evidence that appropriately designed taxes on sugar-sweetened beverages would result in proportional reductions in consumption”. Currently, about 45 jurisdictions have imposed excise duties on SSBs including Brunei, Thailand, Mexico, the United Kingdom, and cities in the United States of America such as Berkeley, California. Some have also questioned the effectiveness of a sugar tax, wondering if it would help to reduce sugar consumption among Singaporeans. However, experiences in these jurisdictions show that excise duties are effective in spurring industry reformulation to reduce sugar content in drinks. In Mexico, the purchases of sugar-sweetened beverages fell by 8.2 percent on average in the two years following the implementation of a tax. in Philadelphia, a new study reported in the American Journal of Preventive Medicine showed that Philadelphians were 40 percent less likely than people in comparison cities to report drinking sugar-sweetened soda on a daily basis after the tax was implemented. Similarly, the UK government claimed that over 50 percent of beverage manufacturers have reduced the sugar content of products in anticipation of the levy. 4) Why not test out the effectiveness of labeling first? The poll showed that the second most popular measure was imposing mandatory front-of-pack labeling on high-sugar drinks. Around one in three of The Straits Times readers polled felt it was the best way forward. This is currently being done in Australia with the objective of empowering consumers to readily identify the range of less healthy SSBs ‒ those high in sugar and other nutrients such as saturated fats. In fact, The Workers’ Party proposed previously that this could be considered first before implementing a sugar tax. According to NCMP Professor Daniel Goh from The Workers’ Party, the government could consider mandating the labeling of free sugar content in processed foods, where the calories and percentage of daily intake for free sugar need to be prominently displayed on food packaging. The sugar content should also be colour-coded with green, amber and red. 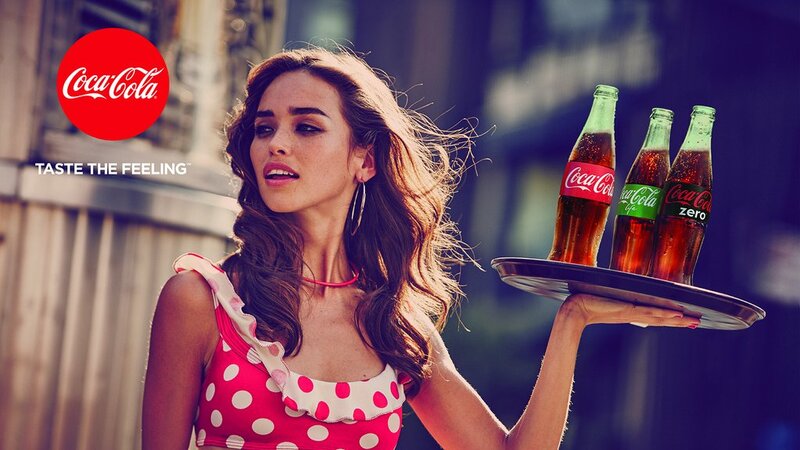 Labeling can be aligned with WHO guidelines of cutting free sugar consumption to less than 10% of daily calorie intake. “This can be rolled out in phases, starting with canned and packet drinks – for example, a can of Coca Cola contains added sugar amounting to 80% of the current WHO guidelines, and should be labeled red,” he explained. This should be followed up by studies to track whether labeling has resulted in consumers making better choices should be conducted to improve the labeling and gauge its success. 5) Is banning of advertisements going to be effective? The least popular option so far is the banning of advertising which bewilders me. Studies have found that exposure to advertisements of less healthy food and drinks influences choice and induces consumption, especially among children. The WHO also concluded that there is “unequivocal evidence that the marketing of unhealthy foods and SSBs promotes childhood obesity”. In my personal experience, installing ad blockers have helped me save a lot on online shopping. Furthermore, if we ban the advertising of smoking, why not extend the same to sugary drinks which are also extremely harmful to children and adults? I definitely agree with this and feel that we should extend this to other channels that young people consume which include Facebook; Youtube; Instagram; Influencers and display advertising. However, a main concern I have about advertising and public education – How effective would this be if used alone? “Just look at smoking. It took more than education to reduce the rate, even though people know smoking is bad. Thus, it is my belief that the banning of advertising and public education cannot be used alone. It has to be complemented with other factors. I do agree with Professor Teo Yik Ying, dean of the Saw Swee Hock School of Public Health, said that these measures to reduce sugar are not mutually exclusive. Step 3: If it does work, we can stick to Step 1 and 2. If not, we should implement a sugar tax and use these proceeds to cover healthcare costs for Singaporeans and also subsidize healthy food as per Professor Euston Quah’s recommendation. I hope that this article has helped you gain a clear idea on which option you prefer. If you’re passionate about this issue and wish to contribute your ideas, you can give feedback at www.reach.gov.sg/sugarydrinks or e-mail sugary_drinks@hpb.gov.sg from now till Jan 25 next year. I am a Singaporean who cares about issues that young adults in Singapore face such as our cost of living, finding good jobs, environmental issues and our education system. Follow me on Facebook or Instagram. What is the best age to have a baby in Singapore? Hi! I’m Jeraldine. I am just an average Singaporean who cares about addressing the challenges that youths in Singapore face such as affording their HDB flat; finding good jobs and balancing their work and family lives. To help my peers, I’ve dedicated this blog to exploring solutions to these challenges and how we can create a better Singapore together. How to save your first $100,000 in your 20s? Is It Disadvantageous To Graduate From A Private University In Singapore? What are the best job portals in Singapore for Millennials ? What are some flaws which makes the Singapore education system so stressful?